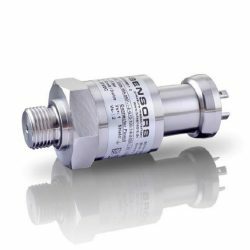 Sea water corrosion resistant low range pressure transmitter for marine, ship and offshore engineering. This low range pressure sensor is assembled from materials that are salt water compatible, making it suitable for use on sea water to measure shallow hydrostatic levels of ballast tanks, draught & positioning systems. The DMK 458 is used by the marine, offshore and shipping industry to measure low range pressures or level of seawater. This transmitter has been approved by a number of marine type approval bodies including LR (Lloyd´s Register), GL (Germanischer Lloyd), DNV (Det Norske Veritas), ABS (American Bureau of Shipping) and CCS (China Classification Society). Measure sea water depth from 0 to 16 inches of water column. Measure sea water pressure from 0 to 0.6 pounds per square inch gauge. Measure sea water pressure from 0 to 4 kilopascals gauge. Measure sea water depth from 0 to 400 millimetres of water column. Seawater is highly corrosive to many types of metal. The metal process connection of the DMK458 is made from CuNi10Fe1Mn which is a marine proven material with a high level of corrosion resistance when continuously exposed to sea water. A sensor diaphragm is the most vulnerable component in a sensor construction to chemical corrosion because of the necessary thickness of the active area. The DMK458 utilises a ceramic alumina Al2O3 which is highly chemically inert and provides excellent protection from long term exposure to salt water. The DMK 458 can be used to measure liquid pressure or level over ranges starting from 0…40 mbar, 16 inH2O, 0.6 psi, 4 kPa or 400 mmH2O. 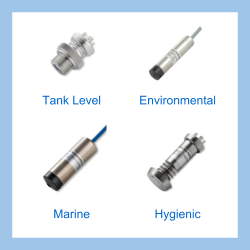 The utilisation of ceramic variable capacitance sensor technology makes it possible to measure low pressures with a high level of accuracy and protection from corrosive liquids such as seawater. What is the lowest range possible for measuring seawater level? The lowest possible water level range for the DMK 458 is 0 to 0.4 metres of freshwater. Note that sea water is slightly heavier than freshwater, so if you want the 4-20mA output to match the seawater range as close as possible, the specific gravity should be specified with the required depth, so a custom scaled range can be supplied. Are all marine certificates included or do you have to specify which one is required? All marine type approval certificates are included as standard so you only need to order one part number to get LR, GL, DNV, CCS and ABS certificate. What is the difference between the DMK 456 and DMK 458? The DMK 458 is a like for like replacement for the DMK 456 and offers a wider range of configuration options, whereas the DMK 456 was only available with a stainless steel 316 process connection and field housing. 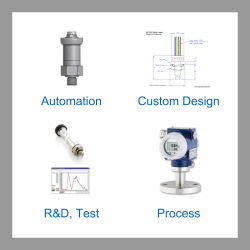 Send us your enquiry for DMK 458 Seawater Low Range Pressure Transmitter to get assistance with this product type.